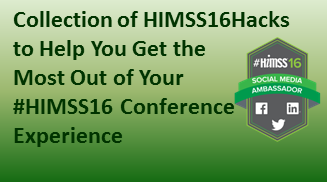 Going to the 2016 HIMSS Conference in Las Vegas next week? If so, take a few minutes to review these tips to help you get the most out of the conference. 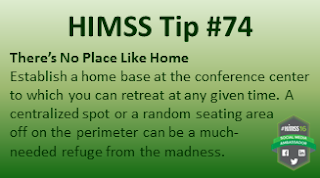 These tips were culled from several blog posts I made for the 2015 HIMSS Conference on The HITConfGuy Website. You can find those posts here and here and here. Also, be sure to follow me @ShimCode and the other 2016 HIMSS Social Media Ambassadors for more tips, insight, and commentary on the 2016 HIMSS Conference. Thanks to Henry Powderly for inspiring me to slam together this post.